We just completed the renovation of our cottages. 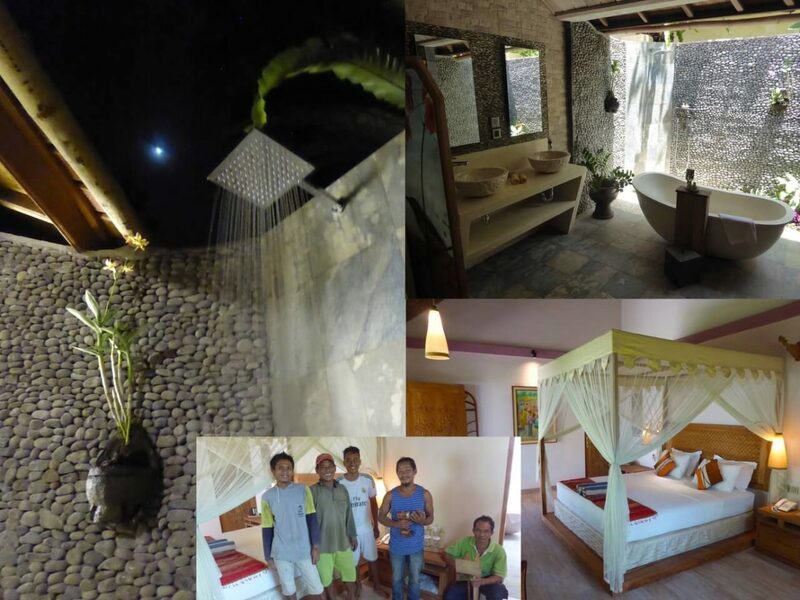 Under the direction of Muri (pictured, second from the right) a team of skilled workers have completely renovated – floor-to-ceiling -, bedroom, bathroom and terrace so as to make our cottages even more comfortable. A big change has been made in the bathroom, now open on nature with its freestanding bathtub, its two basins, its suspended toilet, its private garden and its outdoor shower. What a pleasure to take a shower under the stars! Our regular customers have all acclaimed this renovation. We hope you will be of the same opinion during your next stay!